From 1930 through 1960 the cutting and processing of forest resources was the leading industry in Newfoundland. By the early 1960s, when mining surpassed forestry in economic importance, about 30 percent of Newfoundland’s land area was still forested. The forests consist predominantly of such softwoods as black spruce and balsam fir, which are ideal for making pulp and paper. Newsprint is the principal use of the province’s wood products. The pulp and paper industry began in the province in 1909, when a large mill opened at Grand Falls (now Grand Falls-Windsor). A second mill began production in 1925 at Corner Brook, and a third mill opened in Stephenville in 1981. The global market for newsprint is highly competitive, however, and low newsprint prices periodically force the paper mills to reduce production or shut down. 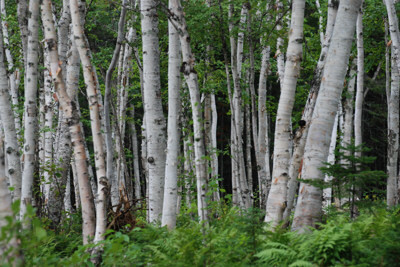 Newfoundland’s forests once contained tracts of hardwoods, especially birch and maple, and in the late 19th century numerous sawmills on the island cut the hardwoods for export lumber. Today, however, the province imports lumber because hardwoods suitable for making lumber are almost completely exhausted.